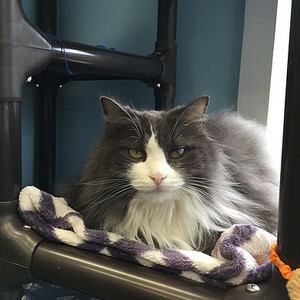 Tia is a five year old grey and white domestic long hair. She arrived at the shelter with her sister who was since been adopted and is looking for a forever home of her own. She is very sweet, loves to give nose to nose kisses and would prefer a quiet household.